Share the post "Word of the Week 7/8/15"
Yes, two words again – it’s like I’m sabotaging my own linky! They need to go together, though, I feel! We’ve been considering getting guinea pigs since our beautiful hound passed away last month, and this week we decided to go for it. Much of this week has been about guinea pig research, choosing and ordering (and then waiting impatiently for!) the hutch, popping to the pet shop to buy some toys and essentials for them and calling around to find some babies from a place that I was happy to get them from. In the end we found a children’s farm not too far away with lots of little females to choose from, as we’d decided we wanted girls, and the kids loved choosing their favourites. We picked them up on Wednesday afternoon, and we’ve been adoring them ever since. Thankyou so much for hosting, I may be a little delayed in commenting but I WILL share some linky love! Have a great week! Sharon powell recently posted…Haribo (but not as you know them) giveaway! 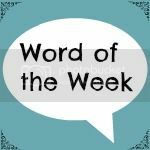 Stephanie recently posted…Word of the week: Free! Oh how adorable! Makes me miss my beautiful guinea pigs, they’re such wonderful pets, I love the little squeaks they make when they hear food! And the cute jumps they do! So the guinea pigs won over the tortoises then! :). I mustn’t let my two see the picture of Leia and Jessie otherwise they’re going to insist we have some too. In fact we were talking this morning about getting a puppy sometime this year. Great choice of names! Those are two cute piggies! I’m sure you’ll all get lots of pleasure out of looking after and loving them. Lovely to see the new piggies! Hope you all have a fab weekend with them, ours are such funny little characters. How lovely you have two rather cute looking Guinea Pigs to play with! I like their names and they’re not far off what my little lot would choose, too! I think children’s farms are great places to buy pets. These guinea pigs look lovely and I bet everyone is excited that they are now with you. I love them! Especially their names <3 we have one at the nursery called Butterscotch, who I just adore!! They are far too cute for their own good, I love Guinea Pigs and they make such lovely pets. Hope they are settling in! Awww they look so gorgeous! I really want to get Boo a pet but I think we will wait until she is a bit older – I am thinking of rabbits as I never had a rabbit when I was younger and I always wanted one! brummymummyof2 recently posted…Ten Things To Do In Butlins Before You’re 5! Oh they are so cute! Love the names too. Sorry I’m late in reading this week, the weekend ran away from me…too much fun!